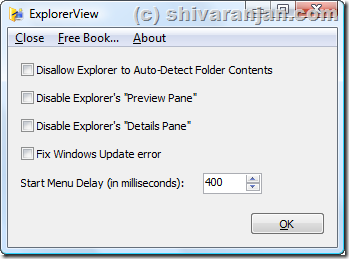 The auto detecting feature of folder contents can be turned ON or OFF, this is very useful feature as the performance and responsiveness of explorer will increase if the auto detect feature is turned OFF. Control the start menu delay in milliseconds. This tool is meant to be used only for Windows Vista.